When it comes to celebrations and parties like engagements, announcements are made prior by sending an invite! An engagement invitation should be as special and rocking as the celebration itself. 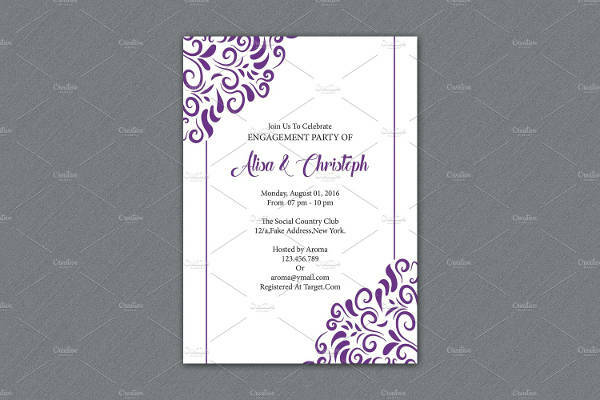 We have selected for you a lovely collection of engagement Party Invitations. Download these for free and print them off for an amazing party invite! You can choose from a range of awesome engagement party invitations below. 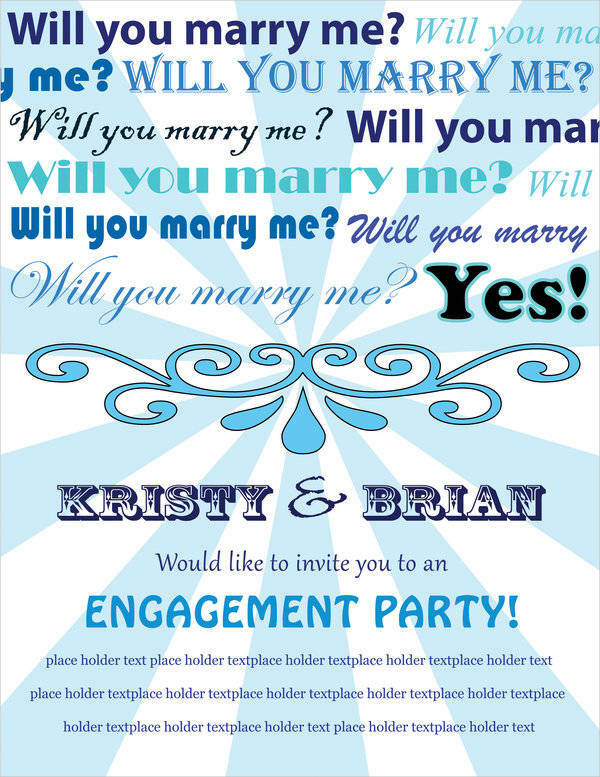 Download this engagement party invitation for free and print it off for sending the invite. 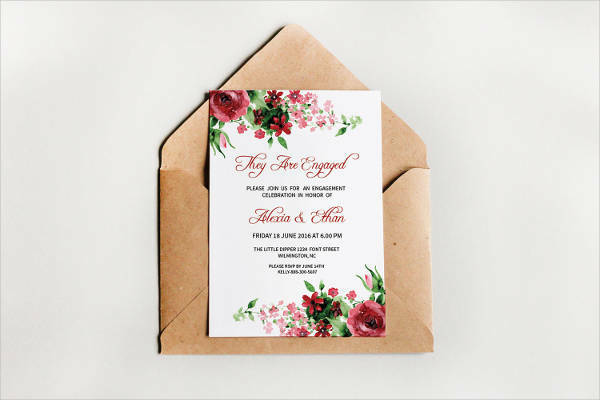 You can either send online invitations or print them and use it as a card invite. You may also see Graduation Party Invitations. 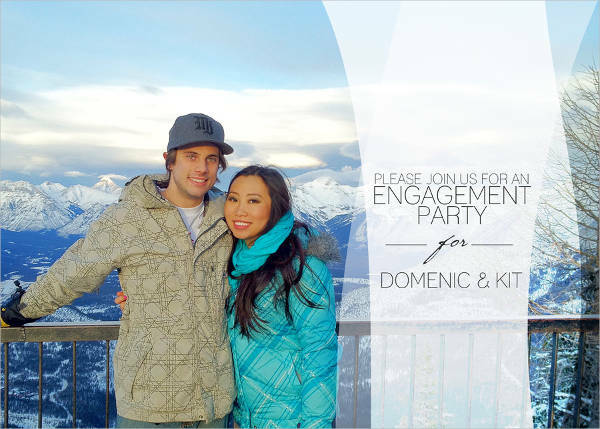 This sample engagement party invitation is beautiful containing pictures of the couple. 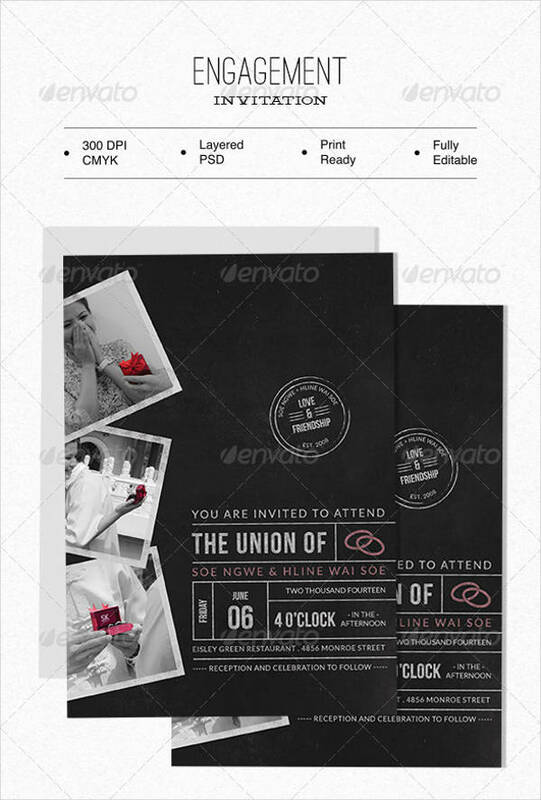 It has a beautiful design and usage of colors making the invite super attractive. You may also see Tea Party Invitations. This engagement party invitation is a bit classy. It features colors gold and black with a very beautiful geometric patterned design. 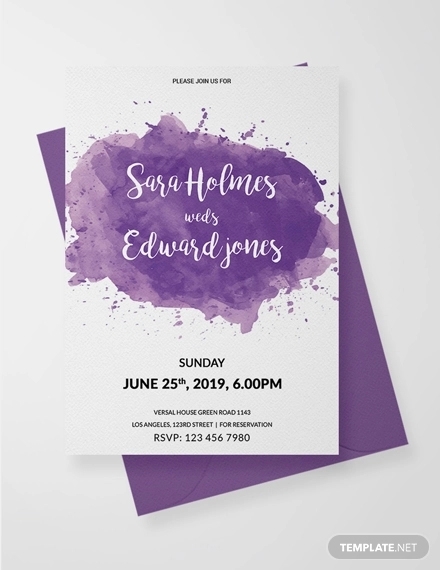 You can draw inspiration from this design to create a lovely engagement party invite too. This simply amazing engagement party invitation design is up for download and the best part? It is printable. You can straight away print this template and start sending invites already! Who doesn’t love attending BBQ parties? Only if you tell them about it in advance! 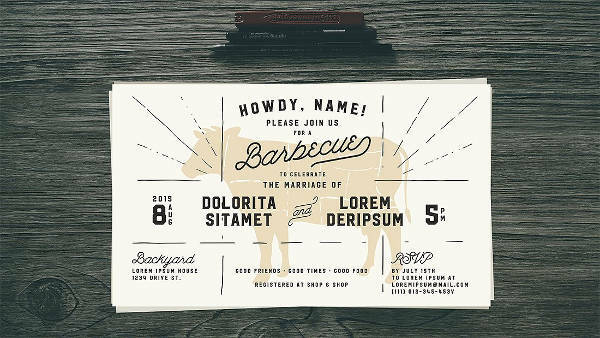 This super cool engagement party invite also has a BBQ night theme which will excite the visitors all the way! This classic engagement party invitation is simple yet elegant. 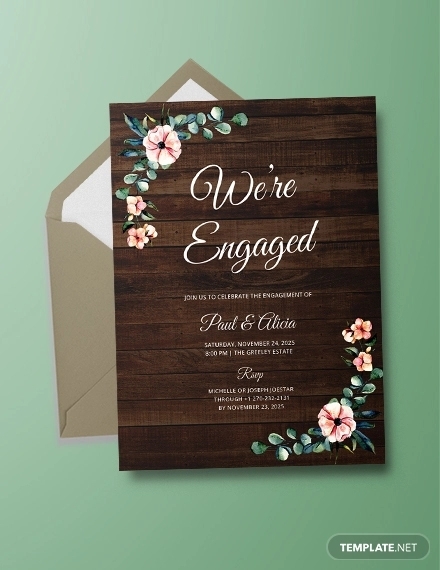 The website also provides you with the option of printing the same on a Kraft paper for a rustic look! 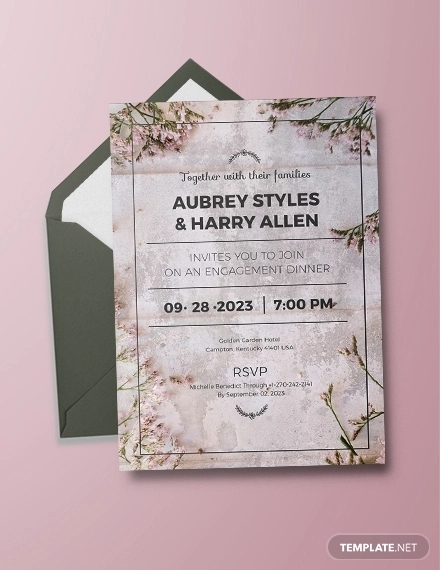 When a couple is planning to send a surprise engagement party invitation, this rocking template can come in handy. 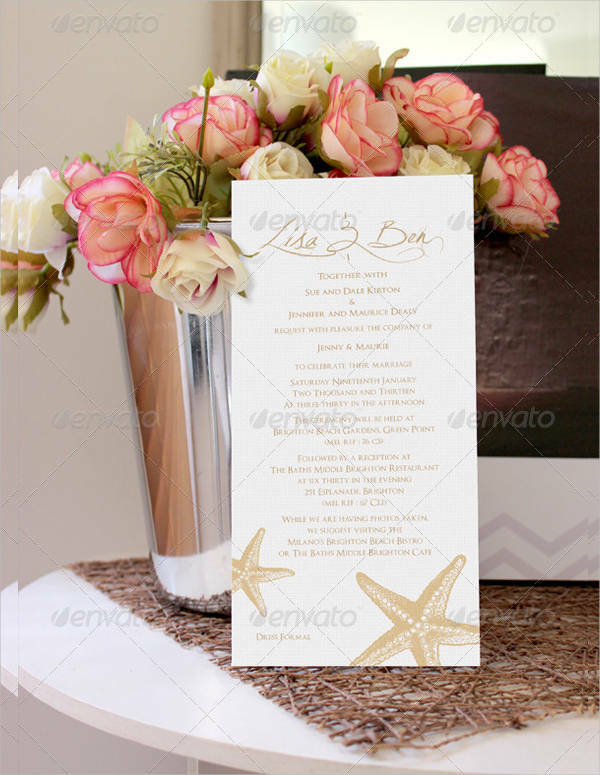 Surprise your guests by sending this elegant looking invitation. 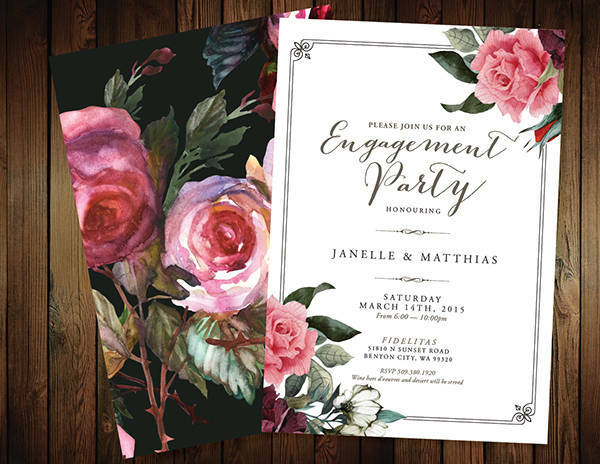 This stunning engagement party invite is in a rustic theme with floral design and a hint of a vintage touch. 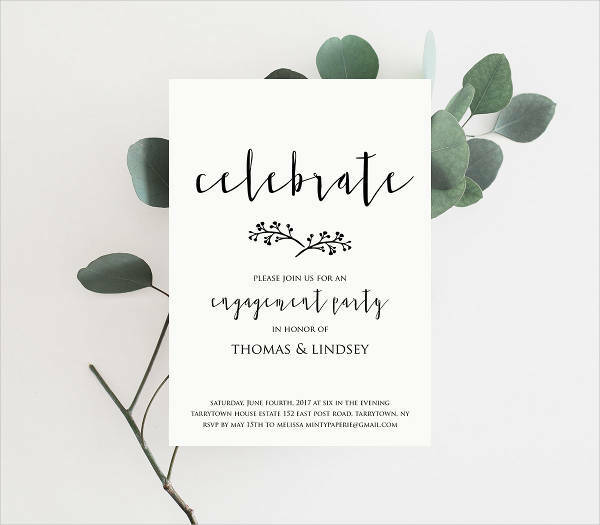 Send this invite to your guests by downloading this template for just $ 10! Fall is a beautiful time to get married or engaged. 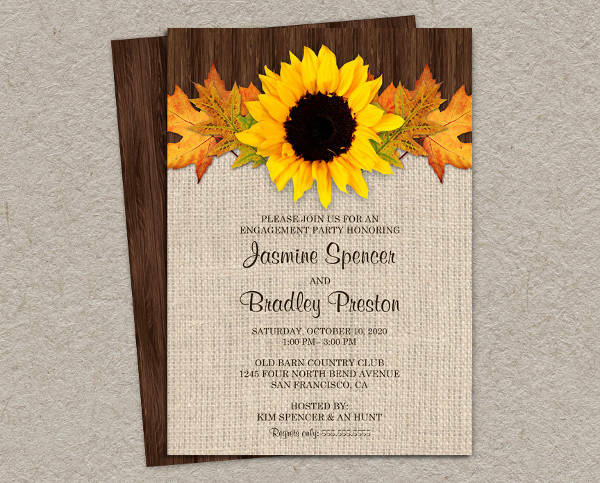 When you plan on sending an engagement party invite, make sure that it has a lovely fall theme, just like this one. It features sunflowers and autumn leaves. 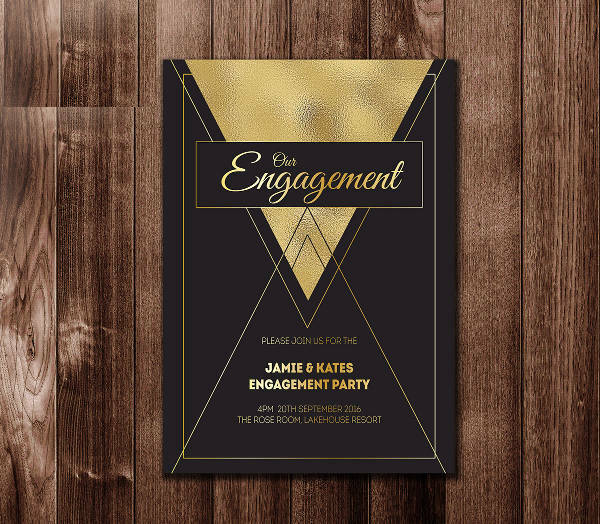 This engagement invitation template has a bordered design with intricate detailing. When you want to keep it simple, and not to create a fuss about your engagement, this is the right choice for you. 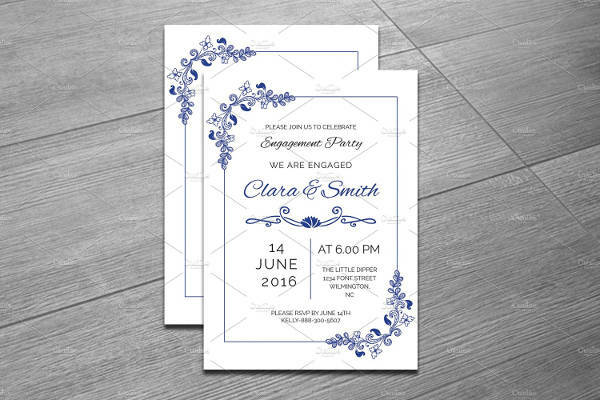 This beautiful engagement party invite contains a DIY design with floral patterns and borders. It is a Photoshop template and can be downloaded instantly for a little price. This is a classic engagement party invitation with a sober background. It can be purchased online and also it can be downloaded. It is beautiful and simple with a classic touch. 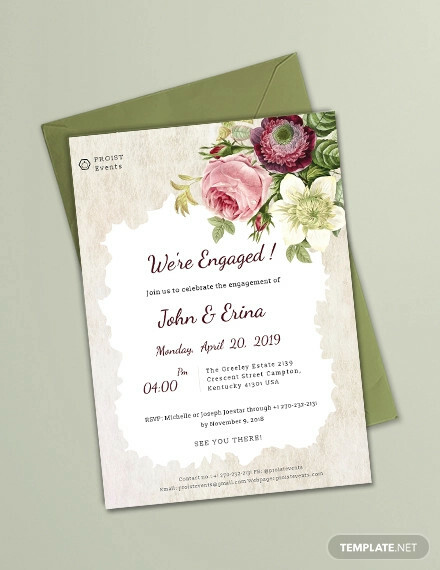 When you want to send the engagement invites online, digital invites like these are a perfect choice. It is a Photoshop product and is designed with high-resolution graphics. Planning for a beach engagement party? Here’s the right party invitation for you! 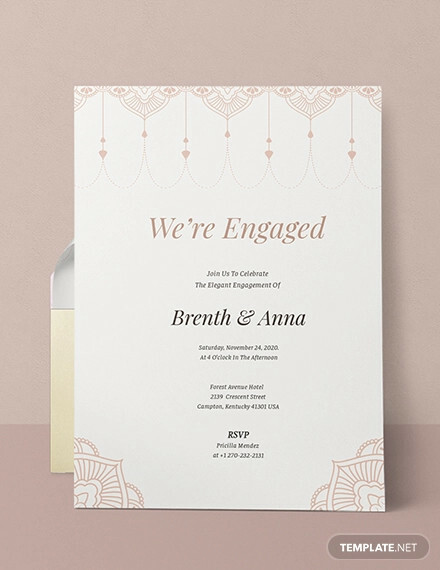 This engagement party invitation is simple and beautiful with a pop of elegance. It can be printed in a pearlescent paper which will look shiny and great. This simple engagement party invitation is fit for all those who like to keep things simple and low key. It has a gray background with a classic font style. 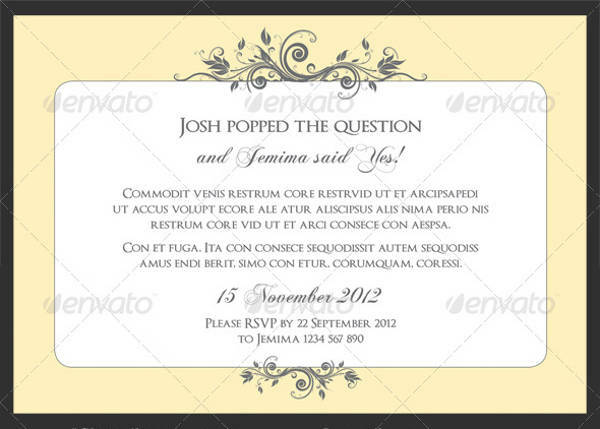 How to use these “Engagement Party Invitations”? 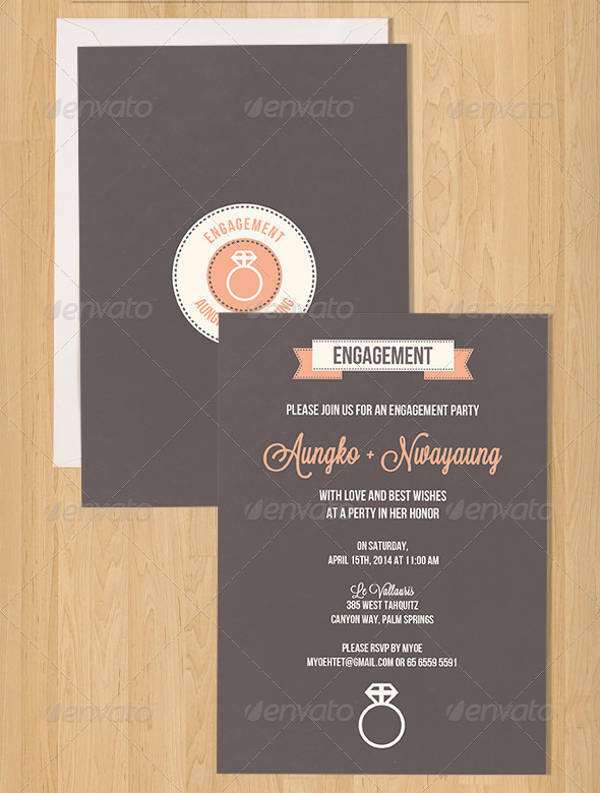 Make use of these engagement party invitations by purchasing them online and getting it printed. You can also send digital invites if you plan on sending all the invitations online. 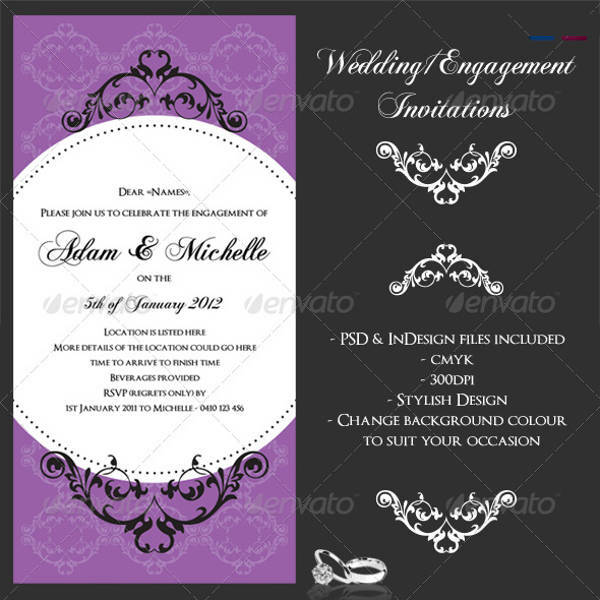 Choose from a large number of wedding invitations that are available online for a very reasonable price. 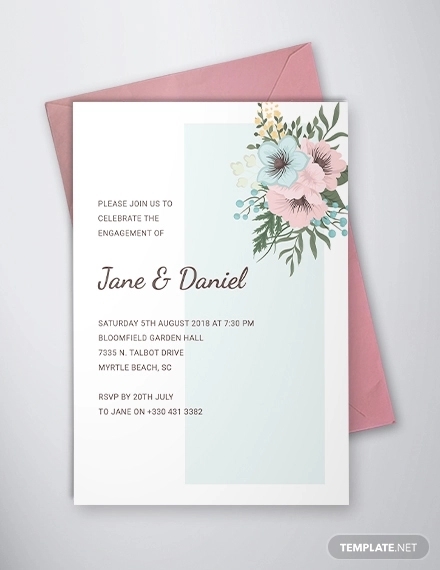 You can draw inspiration from the above engagement party invitation samples designed to make your celebration even awesome. Make sure that you do check out these before making the final choice. After all, your engagement party invite deserves to be extra special.You may also see Bridal Shower Invitations. 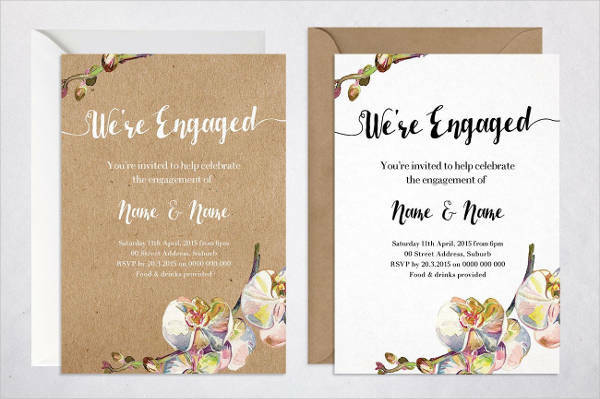 You can send the engagement party invites to your guests by making use of these invitation templates. They are designed exclusively in different themes and sure do save a lot of your time. For every kind of party, there is a template readily available. Be it a beach party or a BBQ party, you have it all.